Home / Blog / Get your Valentine bundle! Roses are red, violets are blue, these Valentine's Day discounts are specially for you! Our Valentines Day sale brings you the best deals on our Joomla! extensions and templates. This year, we're not only sharing our love, we're sharing the most effective discounts that will steal your hearts! Who doesn't love a great bundle? 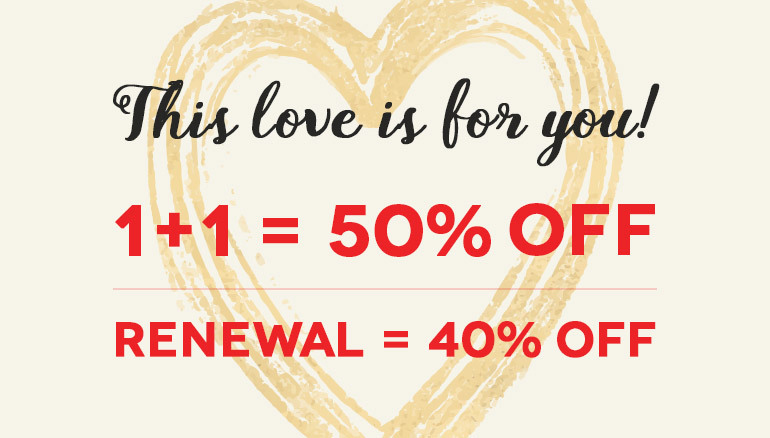 40% OFF on every renewal. Take advantage of this discount promotion starting on the 14th of February and ending on 15th of February! (UTC+2). The discount will be applied automatically, so there is no discount coupon needed! These are just a few of the popular pairings, browse the Joomla! Extensions and our Responsive Template Designs for the best combination that suits your needs and get 50% OFF on this Valentine’s Day.